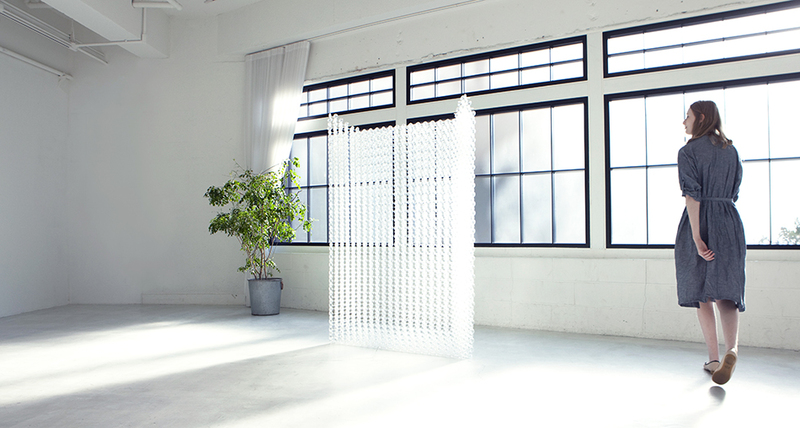 Lightflakes is the latest project of Yuji Okitsu, a tokyo-based artist and architect. 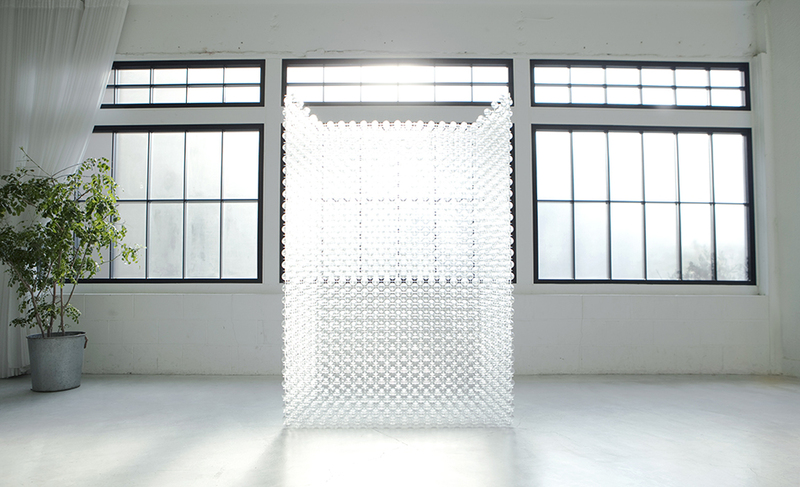 His artwork is based on the theme of light, shadow and blank space. 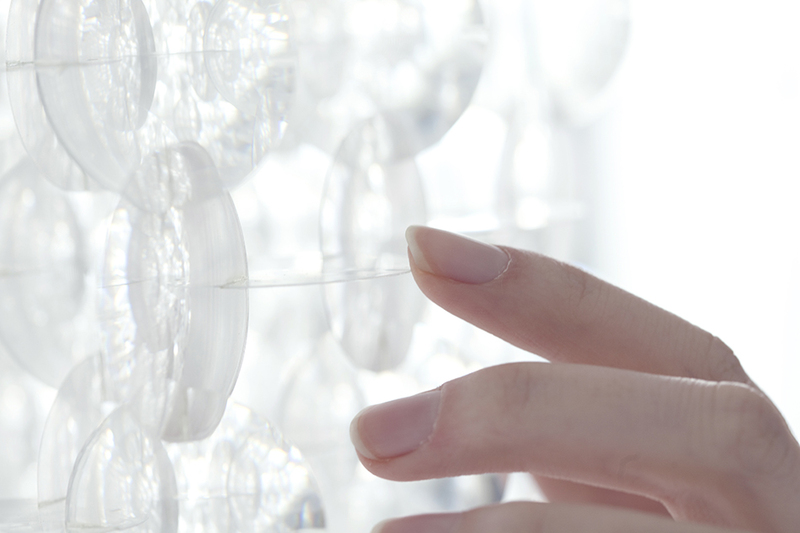 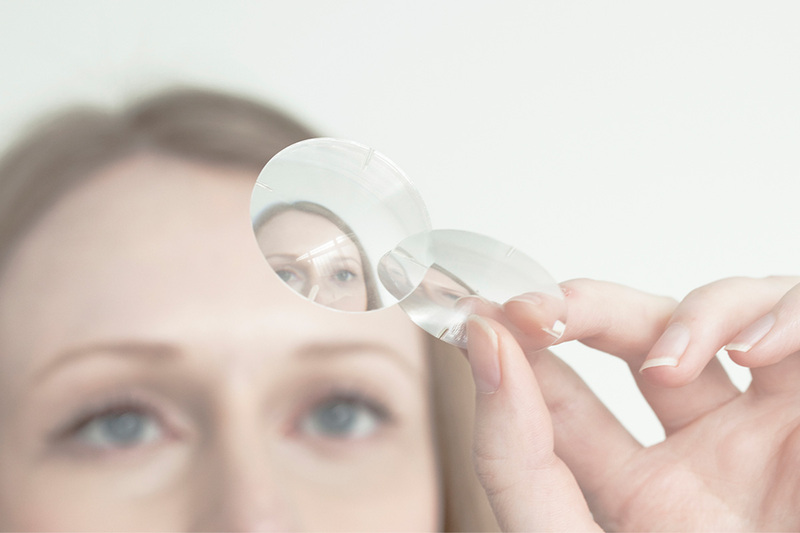 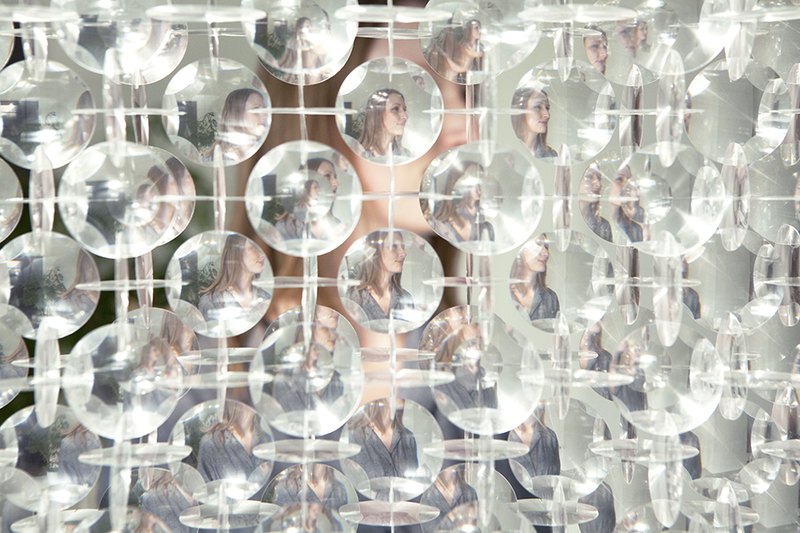 Composed entirely of large lenses of a thickness of 0.3 mm, lightflakes is a three-dimensional piece that can be assembles into any kind of furniture, walls or simple objects, creating an endless game of reflection. 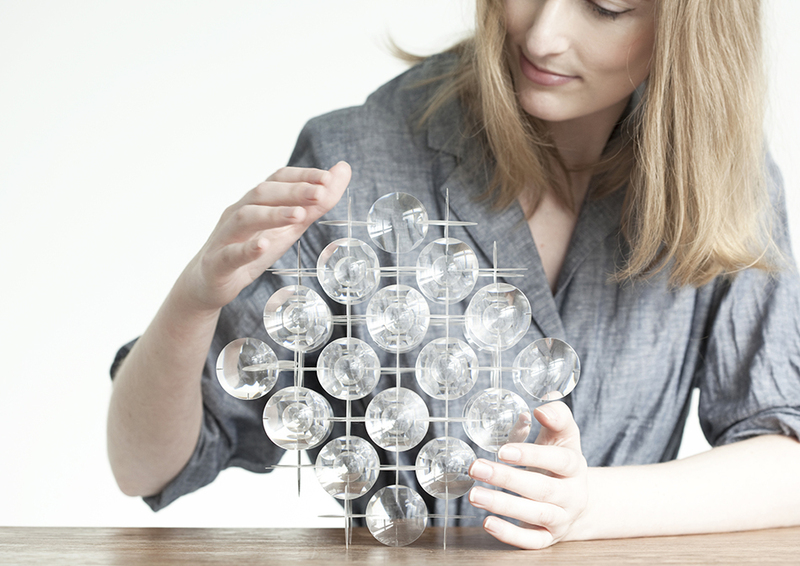 Lightflakes reflects people’s behavior, when a person assembles lightflakes into an object, it seems as if he or she is playing with the light of its natural environment. 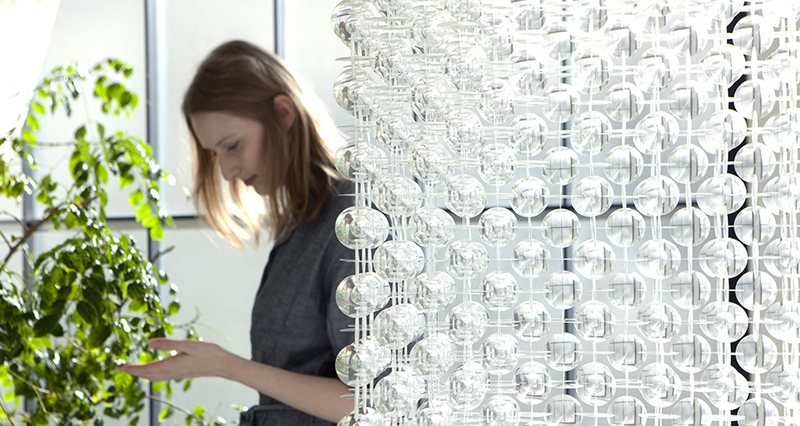 The installation gradually changes the atmosphere in the room, as light transforms itself throughout the day.